As someone who has played first-person shooters on consoles the majority of my life, I've only recently attempted to make the switch to mouse and keyboard. This is largely thanks to many PC versions of games being generally better than their console counterparts, but after playing a 16-hour Overwatch session, I realized one feature I missed from using a traditional controller: rumble. I've been using the Rival 700 for roughly a month and I have to say it feels great. After coming off an older laser mouse from a competing manufacturer, the optical sensor that comes standard here blows my old mouse out of the water, which surprised me as I'd always been told since my days in retail that laser is the way to go; turns out that isn't the case at all and I was just taught to lie to customers so my corporate overlords could get more money. Suddenly, slowly moving my cursor became buttery smooth, instead of bopping around a smidgen like with my old outmoded cursor. SteelSeries has loaded the Rival 700 with personalization options, including extra customizable buttons, two customizable lights, and a tiny OLED screen. Three buttons surround where your thumb naturally rests, each of which can be programmed to do whatever you'd like them to, but, by default, they work as forward and back keys that I never found myself using. A third button behind the scroll wheel changes the mouse's CPI settings, which is extremely useful for those moments when you need a nice slow, smooth movement for getting headshots with a sniper, before switching back to frantic close range combat. While I didn't find the OLED screen useful, I can see how someone would. 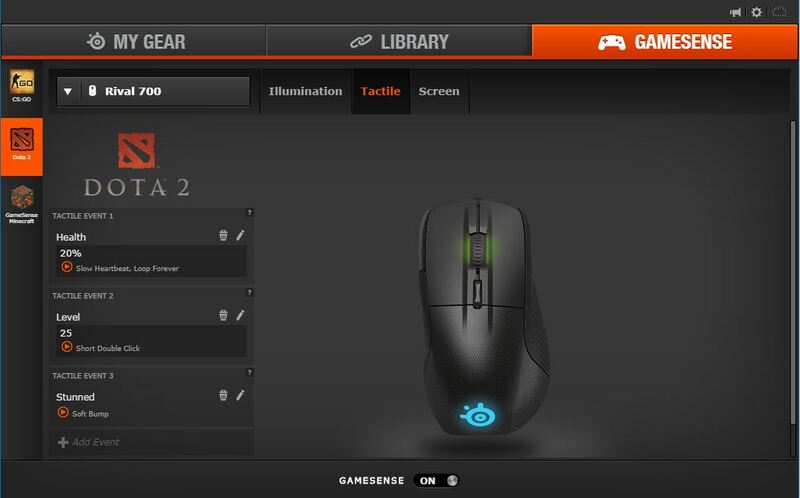 Using the included SteelSeries Engine 3 software, users are able to customize and design personal images and gifs to play. which sounds way cooler than it looks in action. As I have no artistic ability I'd hope the software included a few options, instead, it just had the default SteelSeries logo available. There are a series of eight different options available to download off the mouse's official site, and while I appreciate the spinning Nicholas Cage head that now constantly plays on the side of my mouse, they leave a lot to be desired. That isn't the only use of the OLED, as it works in conjunction with GameSense, a part of Engine 3. The screen can automatically display things like your kill death ratio, ammo, health and even the number of headshots you've tallied up, at least if you're playing Counter-Strike: Global Offensive, as it is one of the three games SteelSeries supports. The others games are the popular free-to-play MOBA Dota 2, and a specially-modified version of Minecraft. 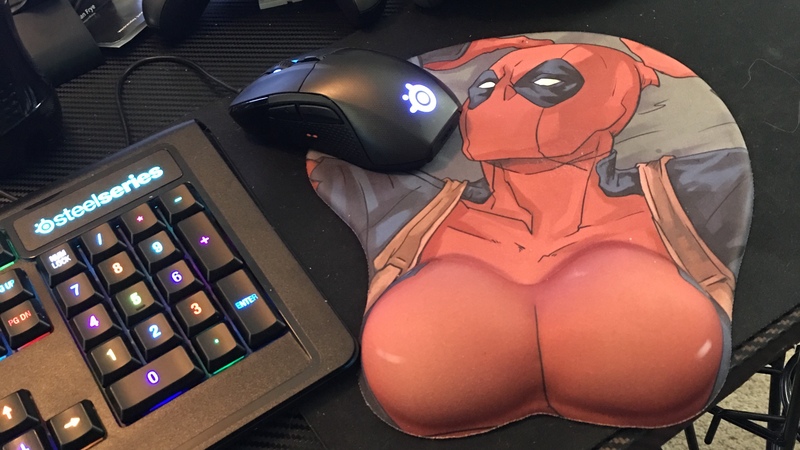 I tested out the feature in CS:GO but I didn't see much benefit, as I rarely found myself glancing down at my hand while playing, as you might expect. Haptic feedback also only works with the three aforementioned games, none of which I play on a regular basis -- essentially rendering the feature useless to me. 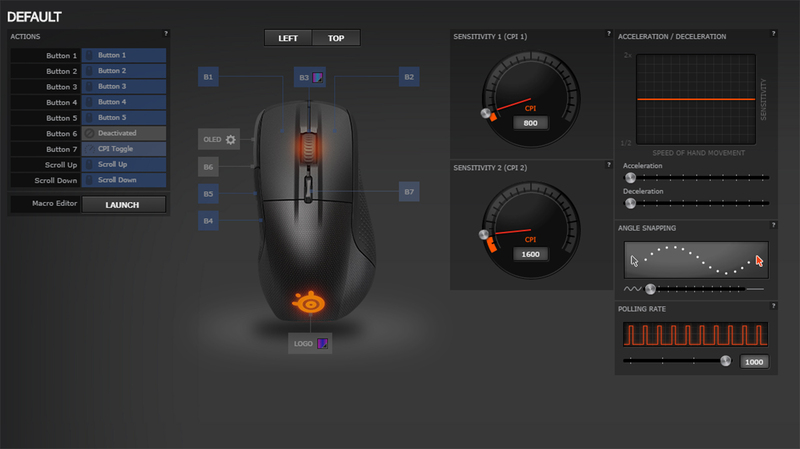 While you can customize the Rival 700 so pressing any of its buttons gives feedback, that is more of a novelty than anything. I have it set so left clicking gives a fast 'tick' feedback, while right clicking is a double click kind of vibration, because why not. I suppose the feature is great if you play one of those games, being able to feel yourself taking damage and the likes, but otherwise, the feature is just about useless. 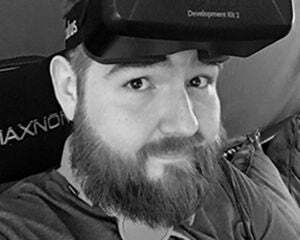 Also, I should note the vibrations of a very light vertical motion just on the palm of your hand, thus they thankfully don't impact gameplay at all. Feel wise, the Rival 700 fits nicely in my admittedly large palm, and the texture and functionality of all the buttons, including the click and scroll wheel are great. 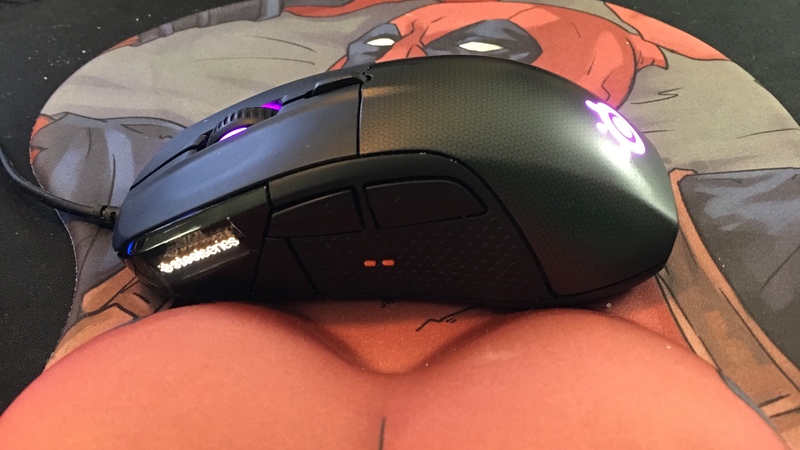 If I had to levy one minor complaint against it, the scroll wheel unfortunately has little notches it fluctuates between instead of free rolling, unlike my previous mouse that let you switch between modes and was extremely handy in everyday use. For $99, the Rival 700 is a comfortable wired mouse with plenty of fancy (but mostly useless) visual customizations and tactile feedback that works with just three games, snd comes with two different cables to connect the mouse to your computer: one braided, one rubber. Optionally, you can purchase a laser sensor and quickly swap out the optical sensor with just four screws, or a set of interchangeable covers for the mouse that make it glossy or cover up the light on the palm. While enjoyable, I still find it hard to recommend for those who are already rocking a gaming mouse they are comfortable with just for the tactile feedback and OLED screen. Well, unless you play DOTA 2, CS:GO, or Minecraft. Then yeah, you need this mouse. Otherwise, you're paying for extra features you're not going to find valuable.